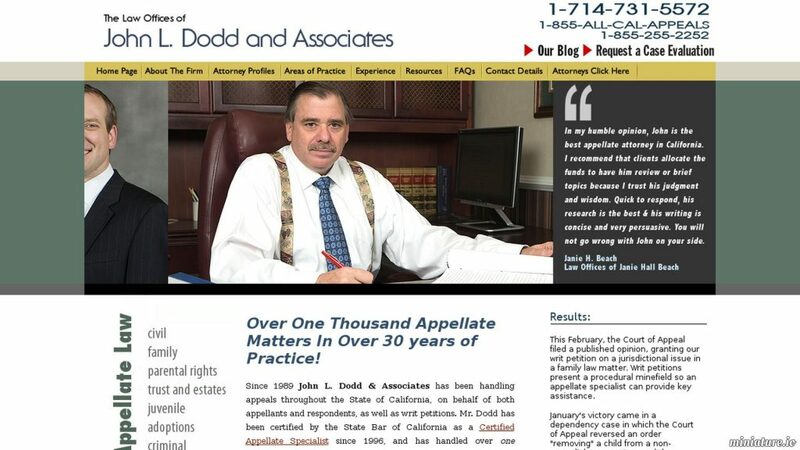 John L. Dodd & Associates is a law firm which handles appeals and writ petitions throughout the state of California, primarily in State court. They are experienced in civil, family, trust and estate, juvenile, parental rights, criminal and adoption appeals. Their primary office is in Orange County, so they concentrate on appeals originating from Orange, Los Angeles, Ventura, Riverside, San Bernardino and San Diego counties. However, they have filed appellate briefs in every district of the California Court of Appeal and the California Supreme Court. They also have filed appellate briefs in the Ninth Circuit and the United States Supreme Court.